Choosing The Right Solar Panels For Your Home Is A Critical Decision. Solar is experiencing a boom like never before, and the market has become flooded with solar systems. Choosing the right solar panels for your home can be quite a formidable task, and once you start browsing your options, you may find yourself confronted with such an array of solar options that it becomes overwhelming. Some buyers are also disappointed once they come to realize that there’s a major difference between what they thought you were buying and what they actually got. That’s exactly why the first step towards financing home solar panels is understanding just what type of system will actually work for your home’s unique requirements. Don’t make any hasty decisions and take some time to understand just what you are dealing with before you finally come to a decision. Solar panels are made up of a series of cells which convert sunlight directly into electricity. These cells are made from a semi-conductive material, usually silicon. When sunlight hits the surface of the silicon, the energy dislodges electrons from the silicon cells. Adding certain materials to make a pathway for the electrons gives you an electric current. A stand-alone solar system is designed to operate independently from the main grid. Without the help of batteries, a stand-alone system will only be able to operate during daylight hours. These designs are suitable for minor applications, such as ventilation fans and water pumps. If you want to run your home on a stand-alone system, it is critical you have batteries to store the solar energy for night time use. Grid tied solar systems are designed to work in conjunction with your utility company’s power grid – the main component being the inverter. Your inverter converts DC power produced by your solar panels into AC power, keeping it consistent with the grid’s voltage requirements. When you aren’t using power supplied by your solar panels, the excess solar energy is fed back into the main grid. Should your electricity needs exceed that of what your solar panels can provide, you will revert to the electricity supplied by your main power grid. Almost 90% of all solar cells are made from silicon. The higher the silicon purity, the more efficiently it converts sunlight to electricity. You can also make use of solar thermal panels, but these do not contain silicon at all, and they generate heat instead of electricity. Monochrystalline cells are the best solar panels to invest in. They are the most efficient solar cells of all, and they tend to do better in lower light conditions than any other panel. Mono panels are made of one large crystal of silicon. They also come with rounded edges instead of square, like other solar panels. Mono panels are made with the purest grade silicon available and, when correctly installed and utilized, their efficiency can be upwards of 20%! Above and beyond that, monocrystalline solar panels are also the most space-efficient. Solar arrays made up of mono cells take up the least amount of space relative to their power generation. The greatest advantage is arguably their long lifespan. Certain manufacturers offer warranties of up to 25 years! Mono solar panels for home use do come with a high price tag, but this system still manages to pay for itself over time. 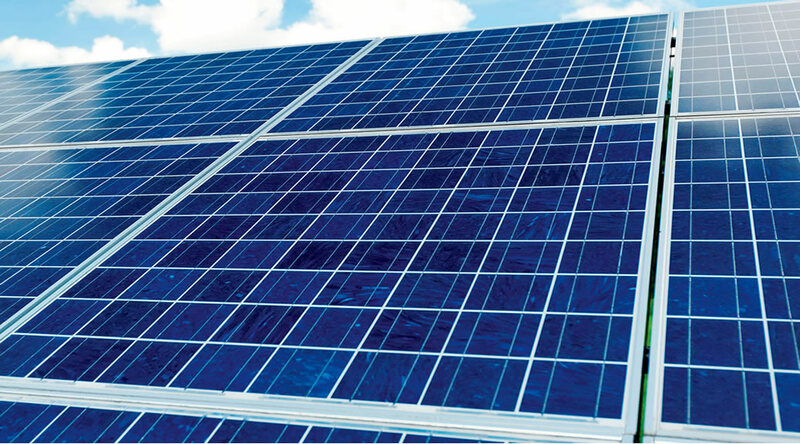 Polycrystalline panels, also known as polysilicon, are the most common solar panels on the market today. They consist of many small silicon crystals which looks like shattered glass. They are much more affordable than mono cells, and this is down to a cheaper manufacturing process. Due to a lower silicon purity than its abovementioned cousin, poly solar panels come with a 13-16% efficiency rating. Its major drawback, however, is that these panels are less space-efficient and they have a lower heat tolerance than mono cells. This means less efficiency at higher temperatures. Amorphouse panels consist of a thin solar film made from molten silicon. Most solar pocket calculators have an amorphous solar strip. They are less efficient than poly- and monocrystalline solar cells. When comparing all the solar panels for sale on the market today, amorphous are the cheapest to produce. Amorphous does have the added advantage of still charging when partially covered by shadow, however. The efficiency of amorphous silicon solar cells, when manufactured in high-volumes, ranges anywhere from 6-9%. Solar thermal energy is used to generate heat instead of electricity. Sunlight concentrated on fluids or gas inside the solar panels can generate incredible amounts of heat. These fluids may include water, oil, salts, nitrogen, and helium, to name but a few. Instead of paying the gas company to heat your hot water tank, thermal solar panels may produce hot water for your home and swimming pool. 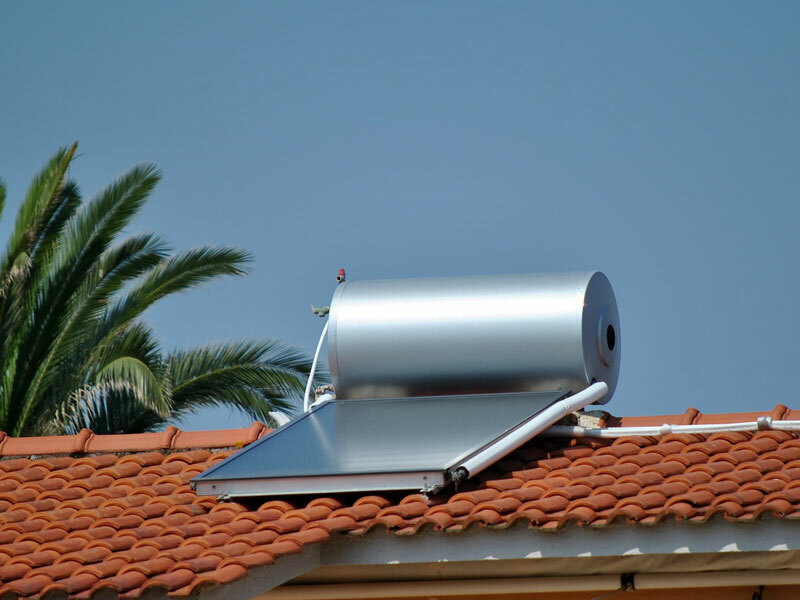 In fact, solar hot water panels can provide 50-90% of a household’s hot water, depending on the climate, while some systems may even provide heat and air conditioning. Thermal solar panels carry a 20-30% efficiency rating. 3. So, What Size System Do I Need? 1. Create a list of all the electrical appliances being used in your home. How many watts does each appliance use? How many hours per day is the appliance used? 2. Multiply the total watts by hours used for each appliance. For example, if you listen to music 2 hours per day and it uses 15 watts, then it would be a total of 30 watts per day. Complete this for each item and add the totals together for a daily power estimate. 3. Work out how many sunlight hours per day your house solar panels will be exposed to. 4. Divide the total amount of watts used per day by the average amount of sunlight hours. If you use 2000 watts per day and receive 6 hours of sunlight, then you will need at least 334 watts of solar panels to power your home daily. 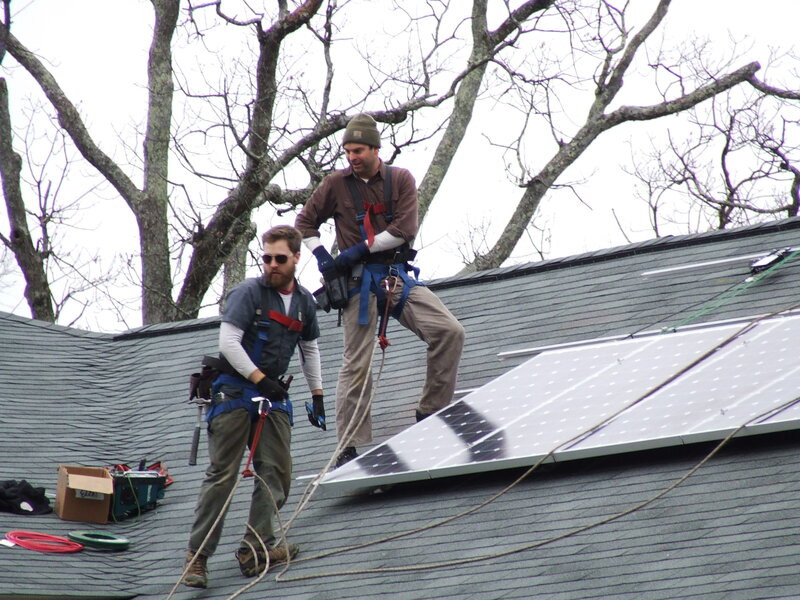 It is important to remember that solar panel installation is no simple task. The actual planning can become a technical nightmare, and DIY installations are not recommended at all. A professional solar panel installation expert will be able to optimize your installation, and it is highly advised you consult one for your own safety. Respecting the solar technology enough to adhere to the all current installation protocols will allow for correct installation and optimum efficiency of your solar panel system. These solar panels are mounted onto a frame or poles which are then securely concreted into the ground. There are a few ways of doing this. The cheapest and most efficient ground mount. This setup aims the solar panels to receive the most sunlight throughout the day, and are permanently fixed in this position for maximum exposure. Active solar mounts have a sensor which tracks the suns movement through the day and adjusts the solar panels for maximum energy absorption. This is one of the more expensive options available due to the maintenance of moving parts. The main benefit here is maximum solar efficiency. Solar trackers help your solar panels get as much sun as possible throughout the day as it automatically keeps your solar panels perpendicular to the sun. A cheaper alternative to the active tracker, passive tracking uses heat from the sun to move liquid side to side. This allows gravity to keep your panels aimed at the sun instead of motors and gears. This keeps moving parts to a bare minimum. Mounting solar panels on your roof can be accomplished in many ways, with tiled roofs being the most difficult, and shingles the easiest. In most cases the solar panels are mounted to brackets which then attach to your roof. Contrary to popular belief, these brackets actually strengthen your roof. There are a few benefits to installing solar film. They can be glued down so no holes have to be made in your roof. Solar film weighs a lot less and therefor does not need mounting brackets either. It will also continue to produce energy throughout low or non-direct sunlight. 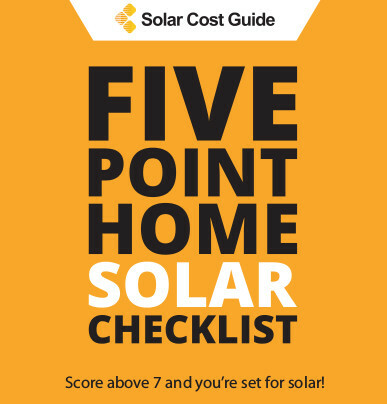 It’s clear to see that each solar system has its finer variations, advantages, drawbacks and efficiency rating which can be tailored to meet your home’s unique requirements. If you are ready to convert to solar, always be sure to request multiple quotes in order to get the best deal possible. If you ready to go green and buy solar panels,, you can receive up to four no obligation, 100% FREE solar estimates from top rated installers in your area today. Simply enter your zip in the area provided to get started.